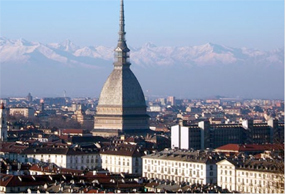 evomusart 2011, 9th European Event on Evolutionary and Biologically Inspired Music, Sound, Art and Design :: April 27 – 29, 2011 :: Torino, Italy :: Call for Papers: Deadline – November 22, 2010. The use of biologically inspired techniques for the development of artistic systems is a recent, exciting and significant area of research. There is a growing interest in the application of these techniques in fields such as: visual art and music generation, analysis, and interpretation; sound synthesis; architecture; video; poetry; and design. evomusart 2011 is the ninth european event on Evolutionary Music and Art. Following the success of previous events and the growth of interest in the field, the main goal of evomusart 2011 is to bring together researchers who are using biologically inspired techniques for artistic tasks, providing the opportunity to promote, present and discuss ongoing work in the area. Accepted papers will be presented orally at the event and included in the evo applications proceedings, published by Springer Verlag in the Lecture Notes in Computer Science series. o Systems that resort to biologically inspired computation to perform the analysis of image, music, sound, sculpture, or some other types of artistic object. Submit your manuscript, at most 10 A4 pages long, in Springer LNCS format (instructions downloadable here) no later than November 22, 2010 to site. The papers will be peer reviewed by at least three members of the program committee. Authors will be notified via email on the results of the review by January 7, 2011. The authors of accepted papers will have to improve their paper on the basis of the reviewers’ comments and will be asked to send a camera ready version of their manuscripts, along with text sources and pictures, by February 1, 2011. The accepted papers will appear in the workshop proceedings, published in Springer LNCS Series, which will be available at the workshop.